Please contact me regarding the 2006 International 7600 SEPTIC VACUUM TRUCK - Stock# 6J245051 for sale at TruckerToTrucker.com. 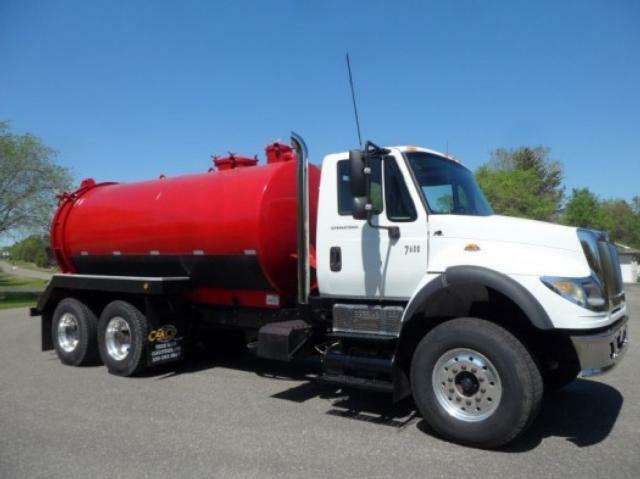 Take a look at this 2006 International 7600 SEPTIC VACUUM TRUCK. It is Stock# 6J245051 at TruckerToTrucker.com. 2006 INTERNATIONAL 7600 TRUCK W/ IMPERIAL 3,400 GALLON SEPTIC VACUUM TANK, NVE VAC PUMP, Model NVE 460CW, Max RPM 1150, Serial# 20203, FULL REAR OPENING ACCESS DOOR, WORK LIGHTS, ALUMINUM TOOL BOX, CHROME EXHAUST PIPE, CLEAN TANK. FOR MORE DETAILS, INFORMATION CONTACT TOM OR JEFF FRIEDRICH AT CARCO TRUCK.